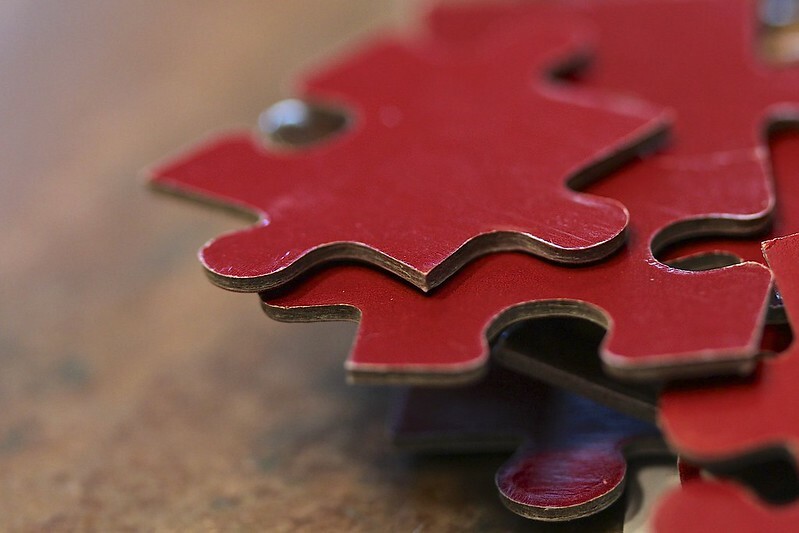 Jigsaw – the missing piece in policing the internet? Earlier this month, the results of a pilot project run by Jigsaw (a subsidiary of Alphabet Inc – formerly Google) to send those seeking information on ISIS towards counter-propaganda anti-ISIS materials on YouTube were revealed. Over the course of the two month program, according to Wired, 300,000 people were drawn to the anti-ISIS YouTube channels. Furthermore, “searchers actually clicked on Jigsaw’s three or four times more often than a typical ad campaign”. The success of the programme has led to plans to relaunch the program focusing on North American extremists, targeting white supremacists as well as potential ISIS recruits. The New York-based think tank and tech incubator aims to build products that use Google’s massive infrastructure and engineering muscle not to advance the best possibilities of the internet but to fix the worst of it: surveillance, extremist indoctrination, censorship. The group sees its work, in part, as taking on the most intractable jobs in Google’s larger mission to make the world’s information “universally accessible and useful”. Although there are elements of that mission that are to be welcomed, there is much also that is problematic at best and highly unethical at worst. With regards to the determination to challenge extremist indoctrination, there are very obvious and serious questions that need to be asked here, not least how do we define extremism? Communism and anarchism have, for many decades, been perceived to be “extremist ideologies”, should anyone investigating such ideologies also be exposed to counter-propaganda? Is it Google/Jigsaw who determine whether such ideologies are “extremist”? And, if so, how “neutral” can we expect them to be about ideologies that would see corporations such as themselves broken up and no longer permitted to operate in the ways in which they currently operate? We know that such tech companies are susceptible to state pressure (as with Google, so it is also with Yahoo! and others). Of course, this is nothing new. Large tech companies are increasingly seeing themselves as a form of global police force that acts as a form of privatised global state department. Much as I value the defence that Apple put up when the FBI demanded access to the infamous San Bernardino phone, is it really appropriate that they refused to do so? My gut instinct is to say, in this particular example, yes (I should add I am an iPhone user so I am somewhat seeing it through the prism of the protection of my communications etc). But should a large multinational corporation get to pick and choose which laws it abides by? If an individual in a liberal Western democracy refused to accede to a request by the security services, you can be sure that both sides wouldn’t be arguing across the media. They’d be arguing through the bars of a jail cell. In July 2014, a professor at Bar-Ilan University was publicly rebuked by his dean for sending an e-mail to his students expressing sympathy for victims on both sides of the Israel-Gaza conflict, a rebuke which drew objections from the Association for Civil Rights in Israel (ACRI). Similarly during the conflict, students at some universities, particularly Arab students, were reportedly subjected to monitoring and sanctions for social-media comments that were deemed offensive or extremist. One can’t help but wonder whether Facebook will actually make such action significantly easier. Should multi-national corporations either act as independent arms of the state, policing the internet and tackling censorship or directing individuals to counter-propaganda at will? Aren’t there serious ethical issues at play here when such corporations either act as independent arms of the state, or proxies for the state in which they operate? Are we not effectively making multi-national corporations such as Google, Facebook and Apple as arbiters of liberty and freedom? Jigsaw intends to “end censorship within a decade” (Wired, Nov 16). A fine goal. But it is also about to launch Conversation AI which intends to “selectively silence” voices to protect the speech of others. Squaring the circle of ending censorship and “selectively silencing” voices is a question for the engineers at Jigsaw. However, the question for all of us must surely be to what extent are we prepared to permit large multi-national corporations to make ethical judgements on behalf of all of us? Should issuing counter-propaganda and tackling abuses of free speech be considered a social good when it is at the whim of a corporation or programs using algorithms created by individuals that work for such corporations? Ultimately, do we really need or should we even permit a (as Greenberg describes it) “Digital Justice League”? Or should corporations stay out of complex ethical issues? It seems to me that such corporations should be responsive to our needs and requests (eg harassment reports on social media) rather than deciding for us. By all means, tackle racism, harassment, misogyny and hatred, but it should be on our terms, not theirs.